While working in a team which involves multiple developers,it is very much necessary to use a Version Control System. - Multiple developers can put their code in(Check In). - Take (Check Out) the code of fellow Software developers. - Compare the changes in two versions. Git is basically a Version Control System, Which is open source Software(project) which was originally developed by Linus Torvalds,who was the face behind Linux operating system kernel as well. Git differs from other famous version control systems like SVN or CVS in the way that it is distributed version control system.So in Git rather than having only one single place for the full version history of the software as common in version control systems like CVS or SVN, every developer's working copy of the code is also a repository that can contain the full history of all changes. If you have worked on SVN,you would know that to setup repository in SVN ,we need to know the server hosting the repository and you should have right privileges to check in/check out.But in Git,you do not need any server to start with.You just do git init and you are ready with your repository.But note that this repository is only on your local machine,so if you are single developer working on project,it is fine to have repository on your local machine.but in case code needs to be accessed by multiple developers then you need to host your Git repository.We will see later in this post,how we can host Git repositories on server using repository hosting application bitbucket(GitHub is another alternative though). 2) Install Git by running exe file for Windows or dmg file for Mac and following installation steps. 4) Create a Java project in Eclipse and a file TestGitBitbucket.java with a main method in a package nl.javaSolutionsGuide. 5) Go to command prompt and go to directory containing project. git init command creates a new Git repository. - Using this command,we can create new empty repository or we can convert an existing un versioned project to Git repository. - Also git init creates .git sub directory in the current working directory from where you executed git init command.This .git directory contains all of the necessary Git metadata for the new repository.This .git directory contains one HEAD file which points to the currently checked out commit. - You need to execute this command only once when setting up repository for the first time.However executing again will not harm and it will not override the existing configuration. - git add command adds file(s) to the staging area of Git from working directory.So after git add file(s) are still not committed to repository. - So you might have made changes in 10 files in your working directory(in your project),but if you want to commit only 5 files in Git repository,you can add only 5 files in staging area and then git commit will commit only these 5 files.This helps you committing files in logical groups.For example,if you have worked on two bug fixes and you want to commit all files belonging to bug fix 1 first ,then you will put all files changed for bug fix 1 to staging area and then commit those and then you can add changed files for bug fix 2 to staging area and commit those. - Please note the file(s) in staging area after adding by git add command will not have version history yet. git commit -m " committing to Git"
- git commit commits the staged changed (using git add) to the git repository. - if -m will not be used then text editor will be launched,where commit comments can be provided. Bitbucket provides hosting service for Git repositories.It can also host repositories created with Mercurial,but mercurial is not in scope of this post,so we will consider only Git repositories. In simple words,you create Git repository on your local machine using git init and then add code ,commit code to this local Git repository,but if you are working in a team of multiple developers,other developers could not be able to get your code ,because it is lying on your machine only.So there has to be some central place,where all developers in team could push their code and similarly they could check out the code done by other developers. Bitbucket is a tool or application ,wherein you can create central or remote repository with .git extension and then push git repository to this central repository. It is free hosting service,where in you can create multiple private repositories as well. A private repository is a repository which will be visible/accessible only to to you and to the people whom you give access to. 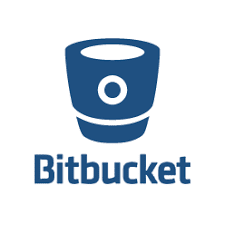 Let us see how to create Bitbucket repository ,connect existing Git repo to Bitbucket and push code from Git repo to bit bucket. 9) Go to https://bitbucket.org/ and Create account. 10) Login with the credentials created in Step1 Or you can login with gmail id. 11) Create a repository in bit bucket by clicking create Repository button (+ sign). 12) Give any suitable name to the repository. Once you will click on Create repository button,a new repository will be created in bitbucket(testbitbucketrepo.git) and you can see the Url on the page which opens after clicking on Create repository button.Also as "Access Level" is ticked ,this repository will be visible only to you.If you will un-tick it,repository will be visible/accessible to everyone having Url. Private Repositories - Accessible to you and people whom you give access to.People must have bitbucket account to access private repositories. account to access public repositories. 13)From the Overview page of the repository you created in Bitbucket, choose I have an existing project. 14) Switch to your repository's directory. 15) Connect your existing repository to Bitbucket by executing following command from existing repo directory folder. -Above command creates alias for whole Url https://Gauravbhrdwj@bitbucket.org/Gauravbhrdwj/testbitbucketrepo.git with name origin. -Alias name can be any name instead of origin. -So basically,now if you want to push to remote repository,you will not need to type whole Url again,as can be seen in next step.Just use alias name i.e. origin. -In case you get error as below,executing above command,you can use www.bitbucket.org instead of bitbucket.org. "Fatal: unable to access 'https://Gauravbhrdwj@bitbucket.org/Gauravbhrdwj/testbitbucketrepo.git/': Could not resolve host: bitbucket.org". - Pushes the commits in the local branch named master to the remote named origin. - After pushing your changes to remote,it can be pulled by other developers on their machine. 17) To checkout the code from remote bitbucket repository to local,you need to execute following command on your command prompt. Hope this was helpful.Leave your comments in comments section,if you face any issue while following this tutorial.Thanks for reading.